Thanks to their first-quality, close-fitting materials – designed for best comfort – and their anatomic structure, rh+ bike socks, which you can find on our online catalogue, are the ideal solution to practice your favourite sports in a quiet and enjoyable way. You’ll finally be able to order your professional bike socks online. With its stylish and high-end products, rh+ focuses on sports equipments, providing the best solutions for lovers of open air and motion. 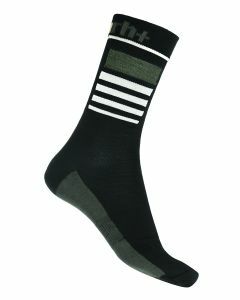 Our bike socks are an example of this: they’re available in various models, according to everyone’s needs. They’re available in classic, unisex and perfectly close-fitting models – not squeezing your feet – but also in more technical versions, with holes on the toes, elastic bands which make movements easier, help blood circulation and improve adherence. 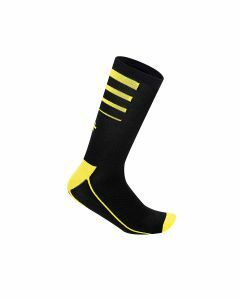 A new model - already present in the online catalogue – is the new MICRO bike sock, created with the same materials and technical details, but reaching up to the ankles, thus leaving calves free.